Living a Fit and Full Life: TJULA DESIGN - Love the Clothes you Wear! “How do you pronounce it?” might be your first question when you discover TJULA. We will not only tell you how to pronounce it, but also what it means. When we were brainstorming what to name this new venture, we wanted something that’s catchy and meaningful. Since this journey is about working towards liberty, unity and equality through lifting women up with fair opportunities, we wanted the name to speak to these ideas and female strengths. After searching through languages, dialects, legends and ancient myths, when we came across “Tula”, a variant of “Tallulah”, bells rang in our heads. We altered the spelling to make it our own unique name. The original meaning is “leaping water”. Just like water, we envision women to live with freedom. Sometimes their strengths are being adaptive and following the stream, yet other times they can be powerful and forge new paths. Finally, it reads like “two-la”, with the “j” being silent. We designed these pants with the intention of making them the BEST pair you’d want to wear everyday, at work, running errands or attending casual socials. They are made to fit well, look good and help you move with ease. We absolutely love the Everyday Pants and hope you’ll love them too. This lightweight & flowy top is perfect for layering in fast-changing weather. Wear it with a blazer to work, or with a sweater for a more casual look. See reviews by Narrow Collective, Dress Well Do Good, Chic for Good and Two Classy Chics. Description: color white, 100% viscose, loose fit. Please choose the size 1-2" bigger than your chest circumference measurements. 100% silk taffeta main and lining fabric to keep you comfortable. Roomy side pockets for carrying small personal items. Pocket flaps make a flattering shape while keeping your small items secure. Size reference: waist measurements are S 29", M 30", L 31.5", XL 33"
Skirt length below waistband are S 17.5", M 18", L 18.5", XL 19"
I'm absolutely in love with these clothes from TJULA DESIGN! They're incredibly comfortable and fit perfectly. 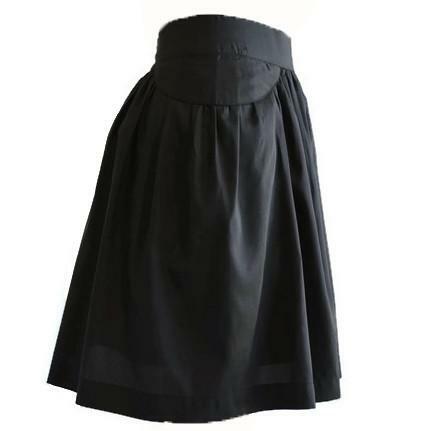 TJULA DESIGN's The Tulip Skirt is extremely flattering and also very functional since it has pockets. The pockets are perfect for storing you keys, lipstick or various other small items. I'm also in love with the length of the Tulip Skirt because it goes to just about my knees which is my preferred length for skirts. TJULA DESIGN's Slitback Tank is incredibly light and airy and looks amazing with just about anything. I love the slitback look of the back of this tank and the wonderful way it feels on my skin. It's incredibly comfortable to wear and has quickly become one of my favorite tanks! Everyday Pants by TJULA DESIGN are incredibly fashionable! These Everyday Pants look great with any top and fit extremely well. I love how comfortable and versatile they are. Whether heading to the office, out on the town or to the kids soccer games, these pants are absolutely perfect for any occasion! 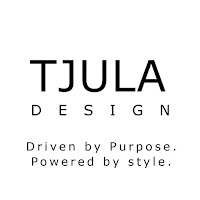 Click HERE to learn more about TJULA DESIGN! Follow TJULA DESIGN on social media!